Hello everyone! I have just been working up a storm. I’ve made a few things which I will post on here. The first is a felt wide-brimmed hat which I am getting a lot of feedback on. This is a really popular hat. I used the “Apple Orchard Goody Pack” from www.livingfelt.com and it is awesome! You have to try it if you haven’t already. Here is what it looked like when I started out and then proceeded. Then after working on it for awhile and getting things just right. It was done. I cant wait to take it out for a spin. I’ve already had some offers on it. It really turned out quite well. You want to make sure you put enough batting on the brim so its not too thin. If you have to, go back and add the batt in later on and continue to felt it making it more firm. You just use your imagination and soon you will have a one of a kind creation. Next is a Baby Bunting or Cocoon. I changed the pattern a little to fit my liking. I like patterns to be simple. I don’t see any sense in a pattern that is difficult. 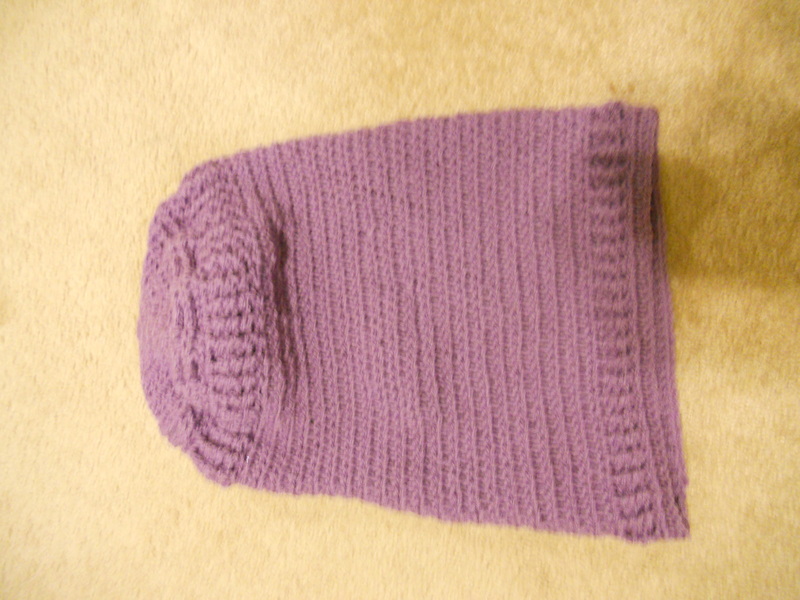 So if you want my pattern feel free to email me or comment on this site and I will work up the pattern and post it. Otherwise there is a good pattern at www.allfreecrochet.com . They have a wealth of patterns. I am checking out a new site now with new patterns. Actually old patterns. I’ll let you know how they work out. Hairpin Lace. Has anyone tried it? I have worked up my first strip of lace and it is awesome. I am trying to figure out ways to incorporate it into my crochet projects. I think its going to turn out really pretty in a baby bunting. Probably not really practical but really pretty. I hope you all have a really good time crocheting these projects. So until then, May your hands work be blessed and your felt work fulfilling! 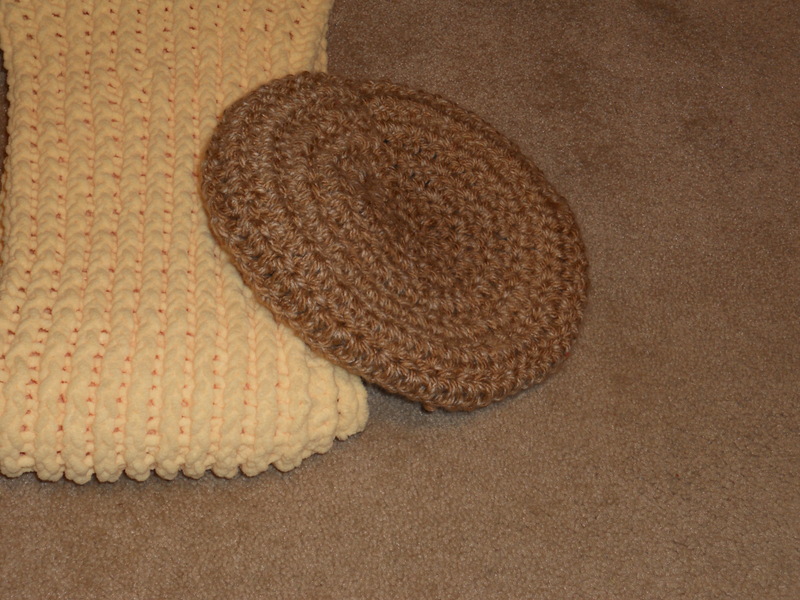 This light brown Tam will go wonderfully with just about any outfit. Check it out http://www.etsy.com/listing/95100308/light-brown-tam I hope you think so too.